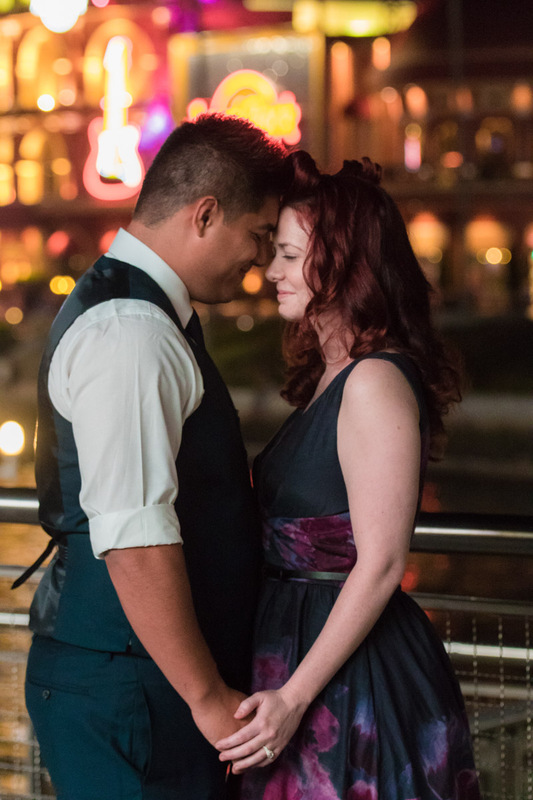 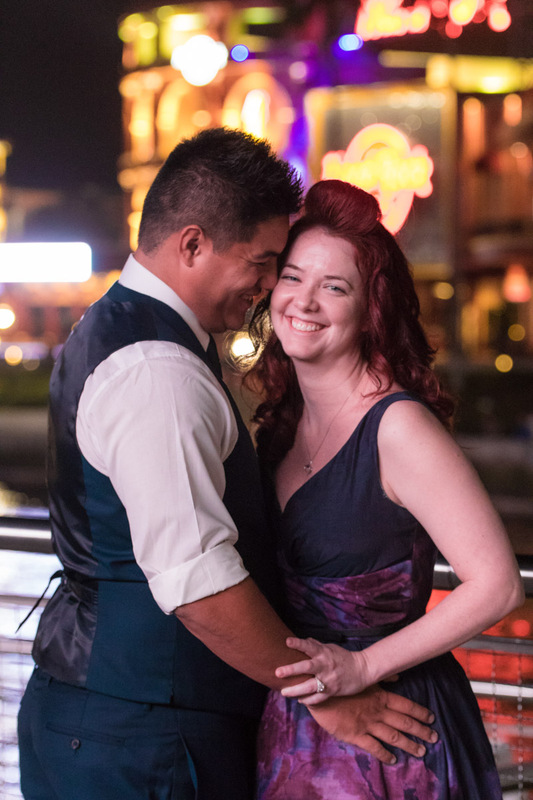 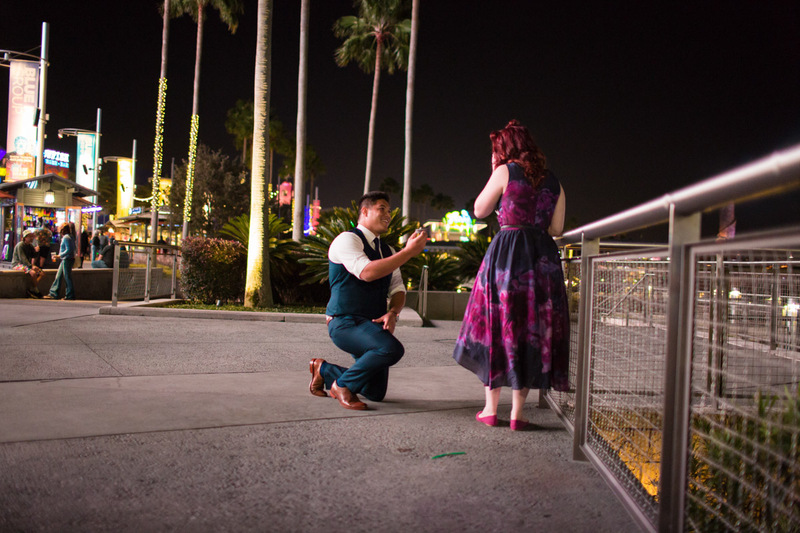 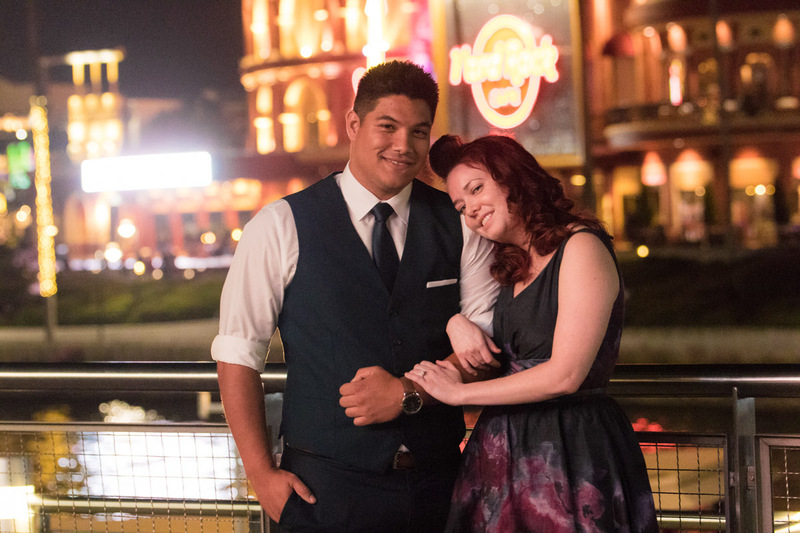 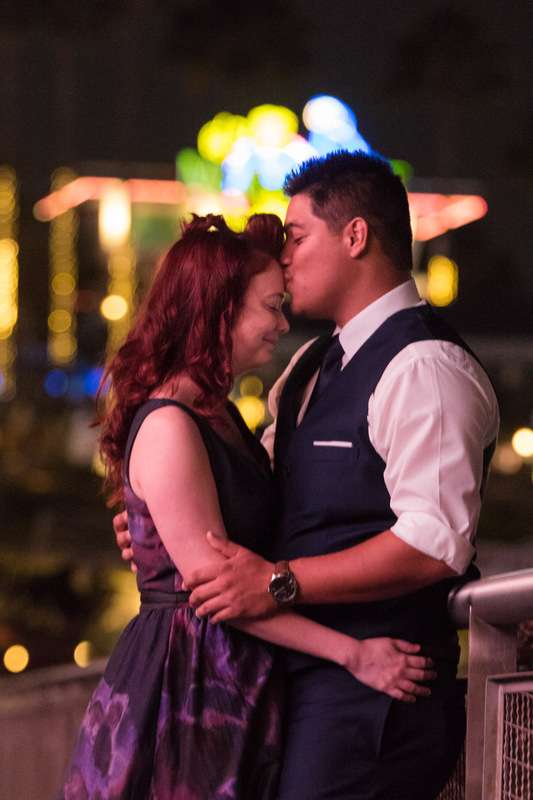 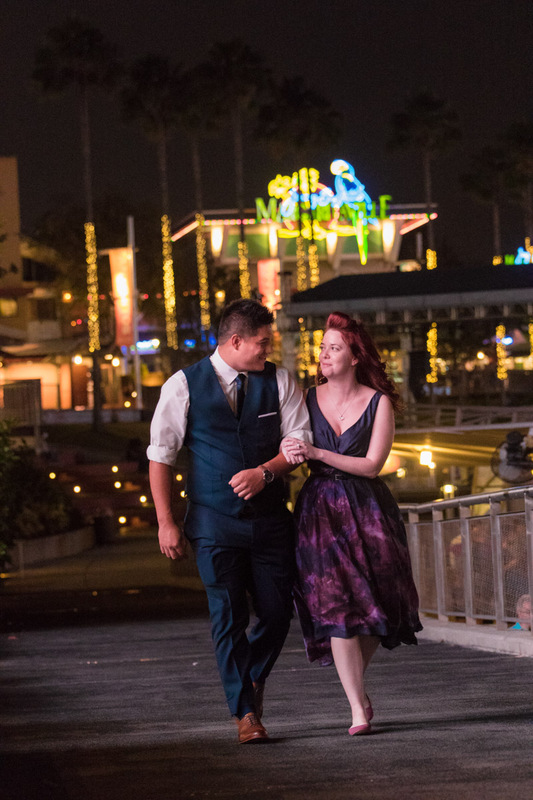 Last year my associate David and I had the pleasure of doing a beautiful marriage proposal at night at Universal’s CityWalk. 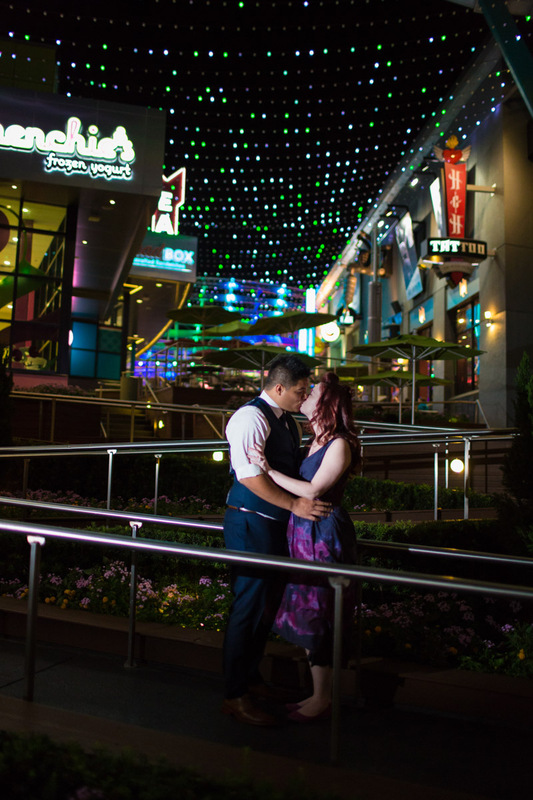 City Walk is well known for its bars and restaurants before you head into Universal Studios itself! 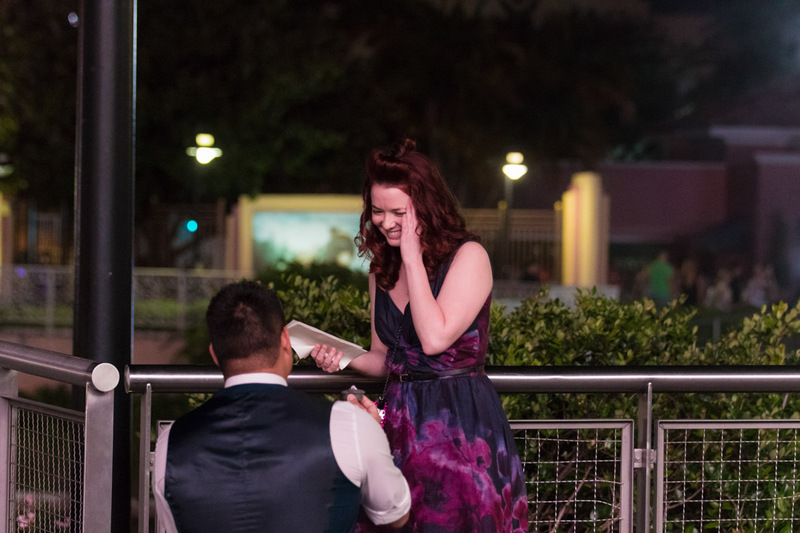 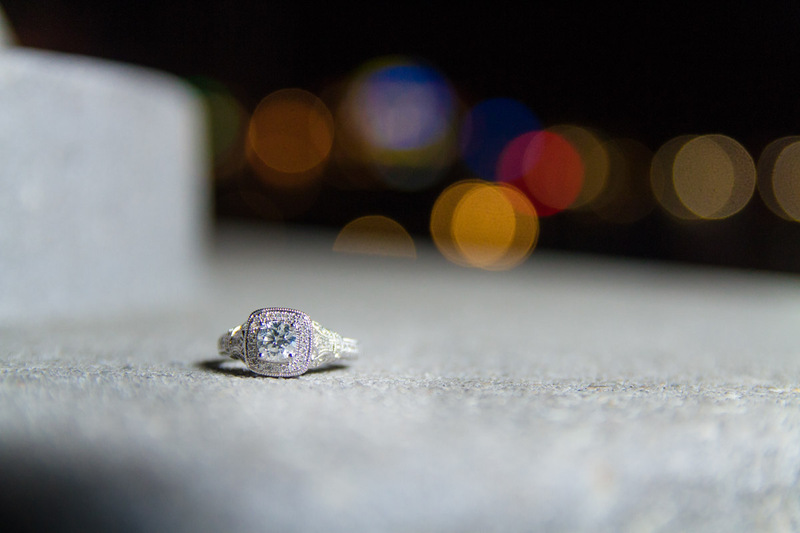 Being that this was at night, I knew the NBC Grille’s big screens projected enough light that we can capture this proposal! 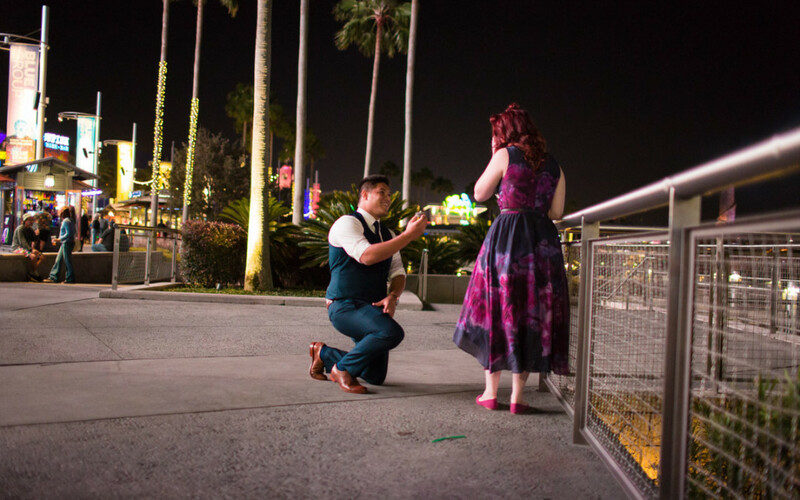 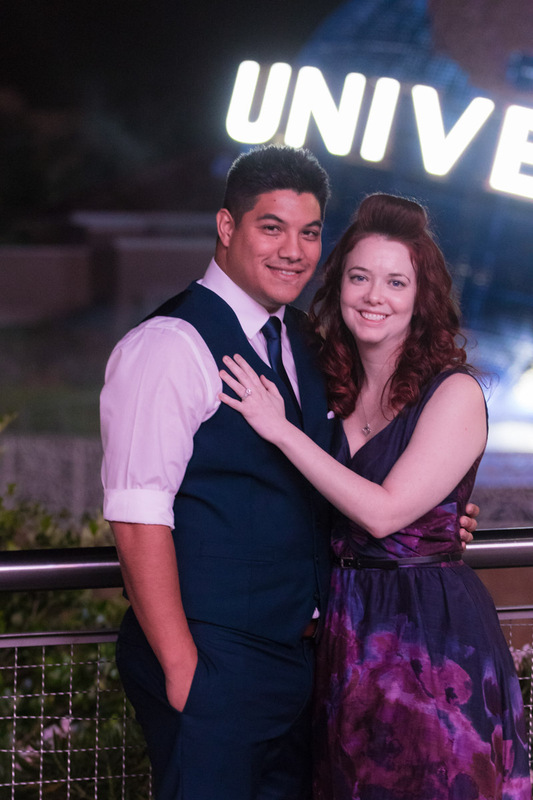 Joshua originally had wanted to propose at the Orlando Eye but he changed his mind to propose to Brittany at Universal! 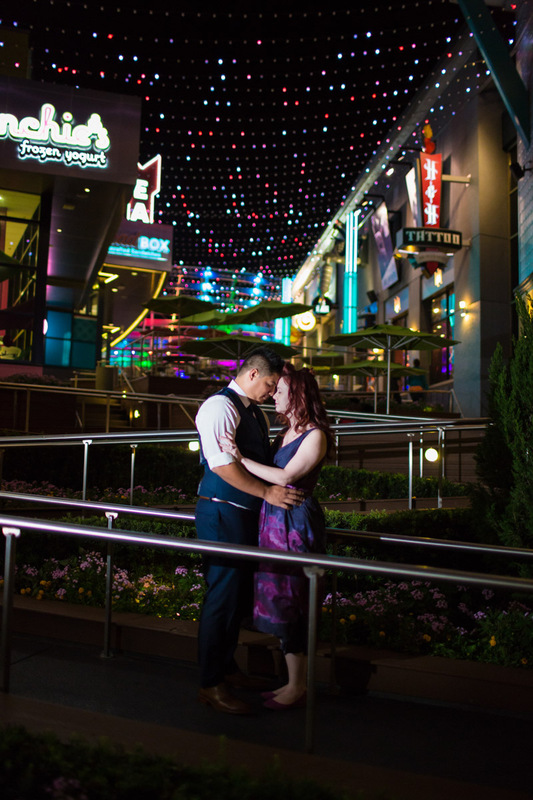 They had planned to go to watch the Blue Man Group then after the show he would go to the arranged spot where David and me were waiting. 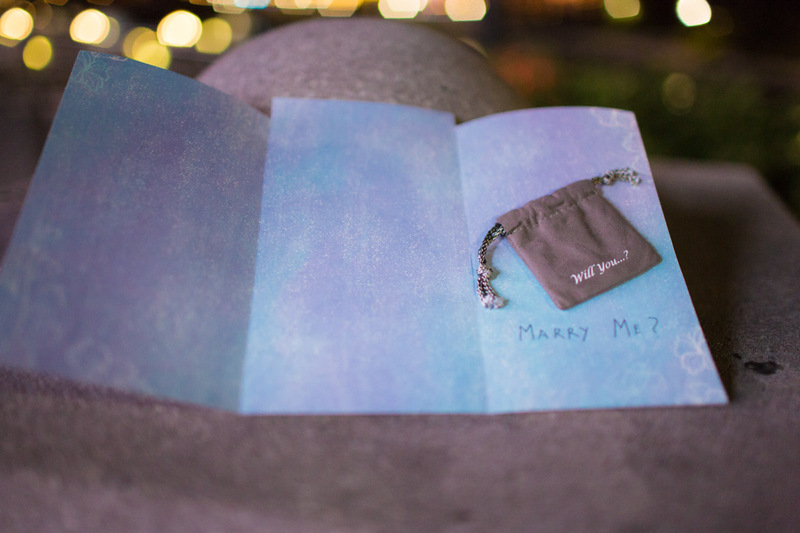 When he got to the spot he popped the question, and her reaction was priceless. 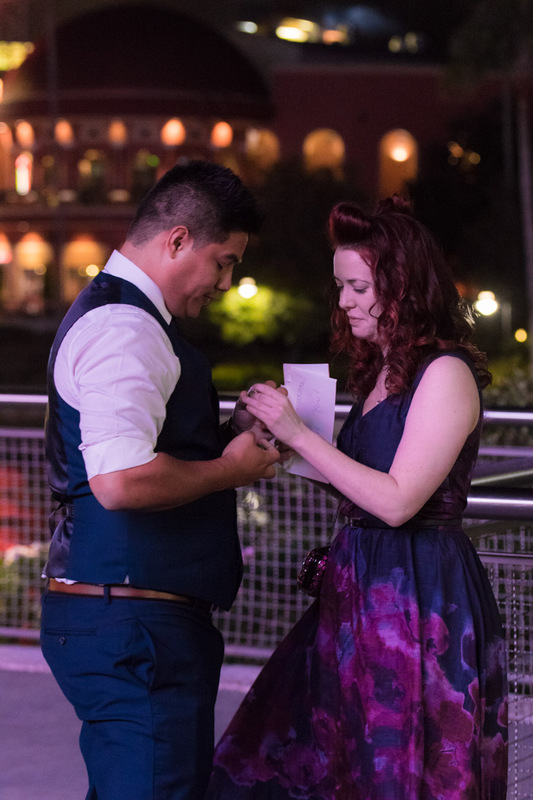 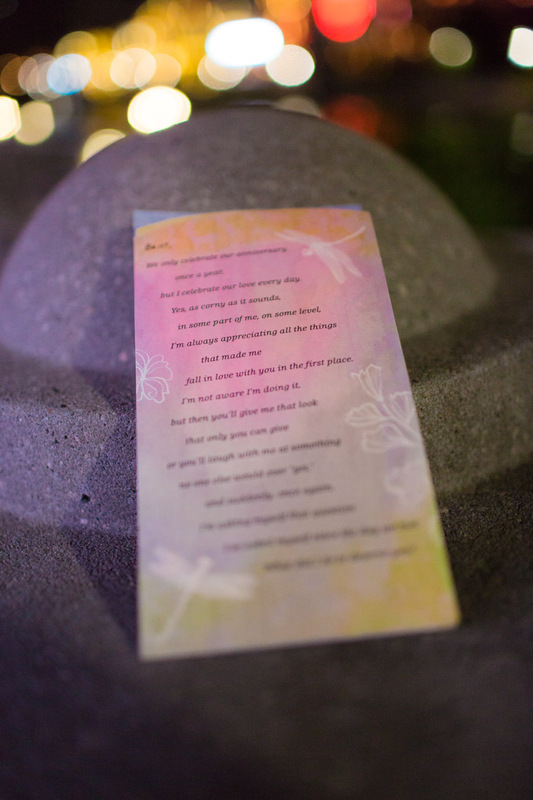 With another proposal in the books, we are honored to be part of this beautiful couple’s journey to marriage!